CHINA has been quietly building up its presence in Africa now for decades. Recently, this culminated in the completion of its first overseas military base - in Djibouti. But one of its earliest ventures was Zimbabwe. And that interest has only grown. Robert Mugabe appears to have lost power after Zimbabwe's military seized power. 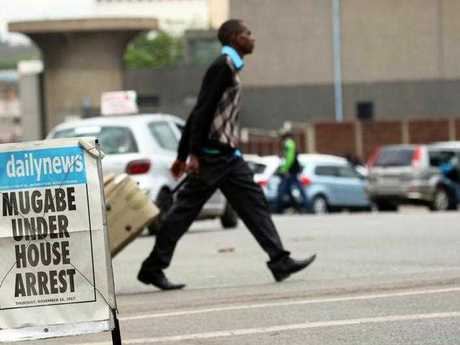 Now, the online news service Zimbabwe independent is drawing attention to how this week's military takeover appears at benefiting one particular vested interest. Vice President Emmerson Mnangagwa was fired from his government role and fled Zimbabwe just a week ago. He fled to South Africa after launching a scathing attack on Mugabe's leadership and the ambitions of his wife. Now he's back, under the protection of the military. 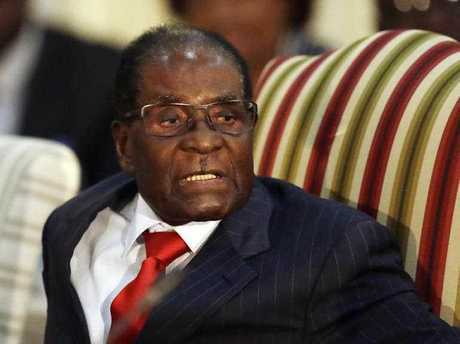 He's being touted as the most likely successor to 93-year-old Robert Mugabe, who's currently under house arrest. Beijing has been unusually silent about the coup. Notorious Zimbabwean leader Robert Mugabe. This is odd, as China is the African nation's biggest investor and the controversial president's most resolute supporter. Beijing ignored the call for international sanctions in 2000 after Mugabe ousted white farmers from their properties and replaced them with his followers. It has also funded key trade and infrastructure projects - including a new thermal power station. 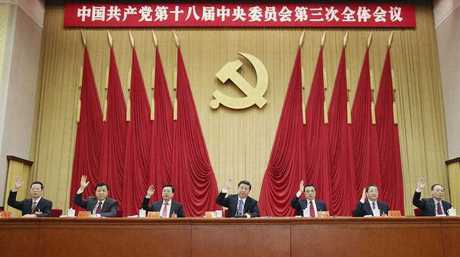 It's injected its Maoist ideology into government thinking. But, most importantly, it has provided arms and training for its military since the 1970s. Naturally, Beijing wants a return on this investment. Mugabe, however, last year put that all at risk. He declared a new raft of laws which put the economic rights of Zimbabweans above those of foreign investors - including China. When combined with the country's rampant corruption, this went down in Beijing like a lead balloon. Mnangagwa, however, was ideally positioned to offer an out. Mugabe's recent poor health and a string of listless public appearances have brought matters to a head. According to the Zimbabwe independent, Vice President Mnangagwa was questioned during a visit to Beijing in June 2015 as to Mugabe's succession plans. Any answer would have been a difficult one. It's not a subject Mugabe was keen to clarify. After all, he's the world's oldest head of state - ruling Zimbabwe since it won independence from Britain in 1980. However, Mnangagwa seemed like the obvious choice: he's a long time close friend of the president, and a fellow war veteran. But Mugabe's wife Grace appears to have ambitions of her own. 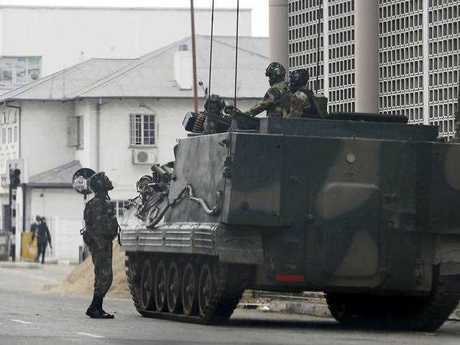 The military are now on the streets of Zimbabwe. A falling-out between the two set in motion the train of events that led to Mnangagwa's dismissal last week. But it appears Zimbabwe's army has different ideas. Mnangagwa is in China's good books. And China's been funding a raft of new equipment and bases for the military. Now army officers have seized control of Harare. They insist they are attempting to purge the capital of "criminals", and not seize power. A visit to Beijing last week by Zimbabwean military commander General Constantino Chiwenga was touted as a "normal military exchange". He met with Chinese Defence Minister Chang Wanquan last Friday - just days before his troops took control of the capital and detained Mugabe. But the statement issued by the Chinese foreign ministry after the meeting is far from normal: "We are paying close attention to developments of the situation in Zimbabwe ... We hope the relevant parties in Zimbabwe appropriately handle their internal matters." Just days later, both Chiwenga and Mnangagwa would be key players in the new national crisis. When asked if Chiwenga briefed Wanquan on any plans for a military takeover, Beijing spokesman Geng Shuang said the Defense Ministry had handled arrangements for the visit and he was "not aware of the details." What happens next will reveal the extent of Beijing's influence behind the scenes. 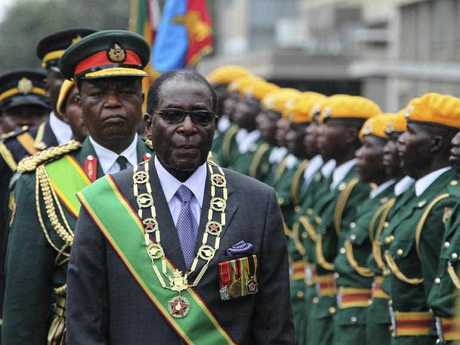 Mugabe refused to resign overnight at a meeting with the generals who have seized control of his capital. "They met today. He is refusing to step down. 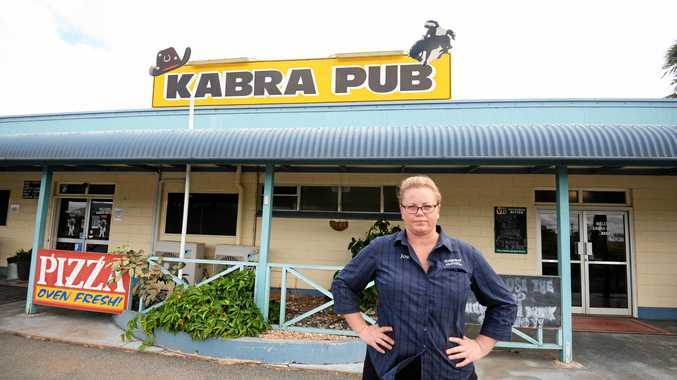 I think he is trying to buy time," a source close to the army leadership told AFP.